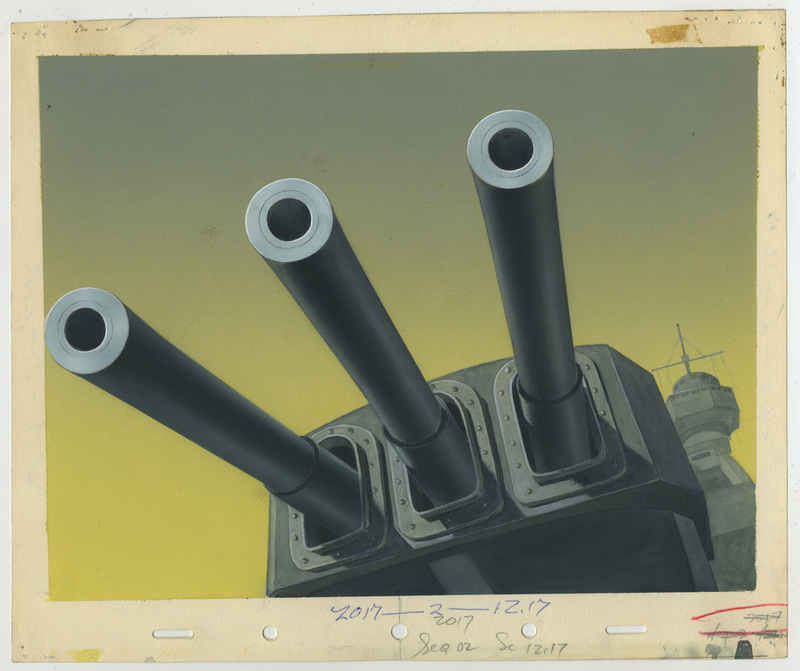 This is an original production background from the Walt Disney Studios production of Victory Through Air Power (1943). 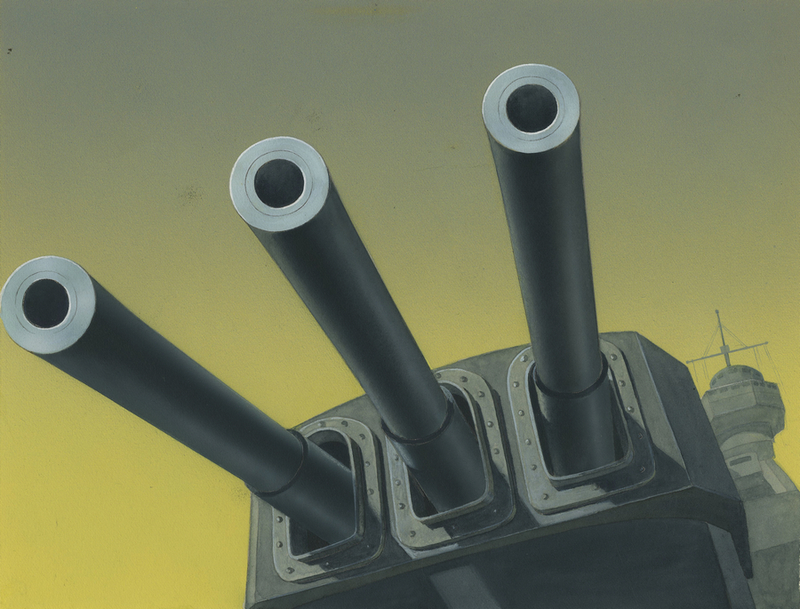 This hand-painted background features a stunning image of the cannons on a military aircraft carrier, and was created at the studio and used during the production of the famous wartime short. 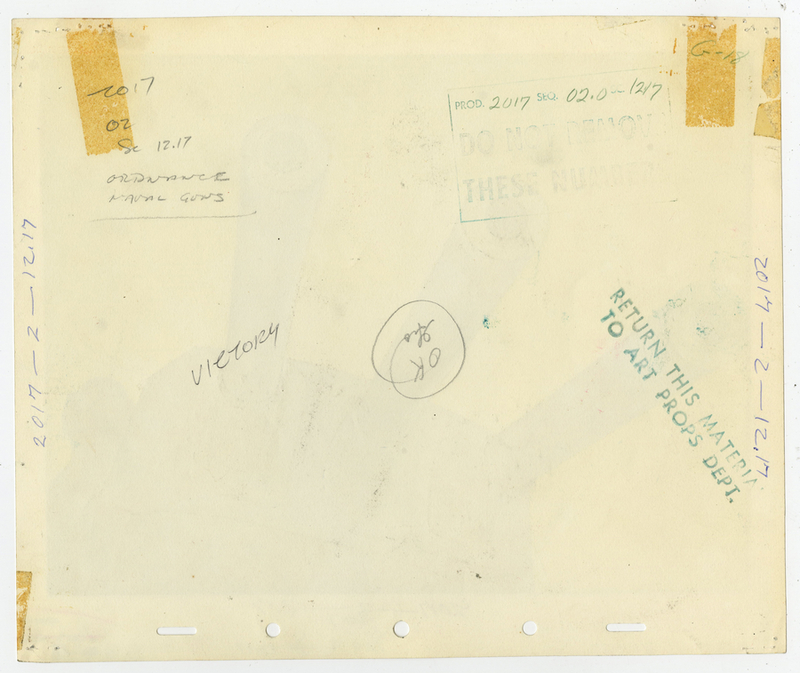 The overall measurements of the piece are 10" x 12" and the image itself measures 8.25" x 11". This background is in excellent condition.